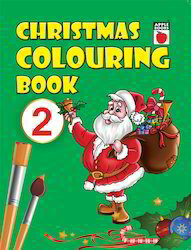 Exporter of a wide range of products which include christmas coloring book -1, christmas coloring book -2 and christmas coloring book -3. Christmas Coloring Book -1 offered is available in softbound finish and is fun to work with. It is a perfect choice for introducing children to early childhood lesson with simple introduction to colors for toddlers and preschoolers. As best tool for engaging child's interest in Kindergarten and initial school years, the worksheet assists in reinforcing concept & recognition of colors and help kids develop eye-hand coordination and color concepts. Christmas Coloring Book -2 offered comes in softbound 128 page finish and is designed to encourage creativity. Finding suitability as fun time activity, it enhances the shading skills of students as well as feature friendly illustrations which are easy to handle and color by kids. Further, the interactive learning approach also makes it a best tool for engaging child's interest with pages on a variety of themes that children can color. 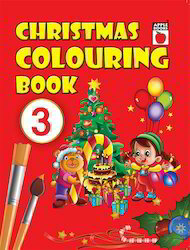 Christmas Coloring Book -3 offered has 128 pages and comes in quality softbound finish. Featuring child friendly illustrations, the book is great way to have fun while children get benefitted from practical lessons. The coloring pages are fun for kids and help kids develop eye-hand coordination and color concepts. Being suitable for personal, school teaching needs, the book feature worksheet designed to help kindergarten students to recognize and use colors through association with pictures. 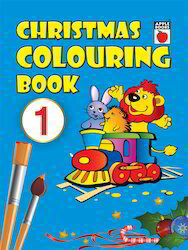 Looking for Christmas Colouring ?